Mike Leigh on set with actor Timothy Spall during filming of Mr Turner. British Director Mike Leigh is an auteur of modern cinema. He’s been nominated for Academy Awards seven times and his movies, such as Naked, Secrets and Lies, Career Girls, and Vera Drake have garnered universal acclaim – making Leigh’s name as a distinctive voice in film over the last 43 years. His latest movie, Mr. Turner, is out to rave reviews and has won international awards. 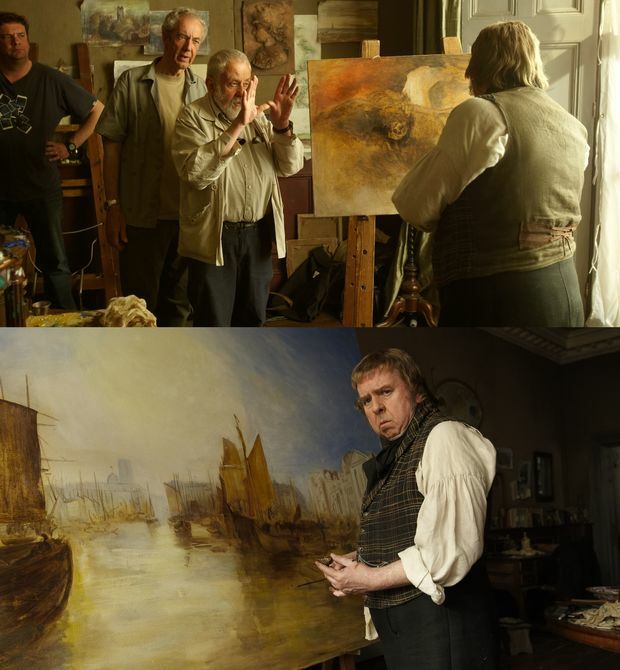 It’s a look at the life of British painter J. M. W. Turner (1775–1851). Mike Leigh joins Wallace to talk about his career and his new film about the artist known as ‘the painter of light’.